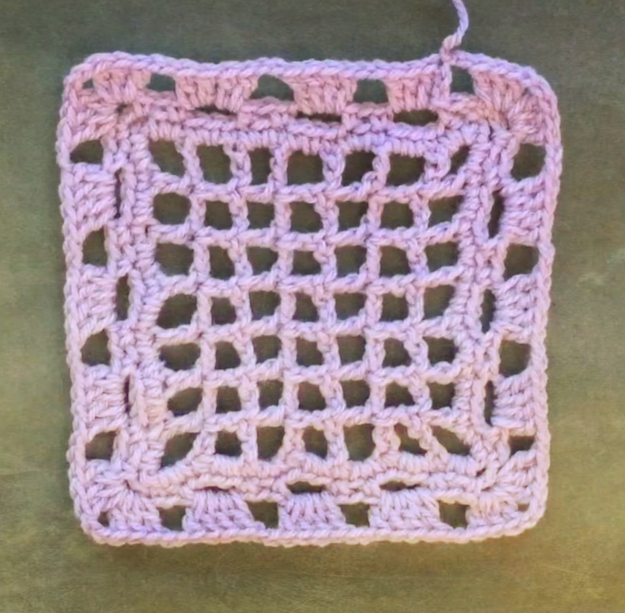 Here is another detailed video tutorial of #3 mesh granny square for crocheters for our Foggy Dawn Sweater Project. If you would like to make this sweater, click on the link "Introduction to this project" below OR on one of the two links for a PLAYLIST (left-handed or right-handed crocheters), to crochet along. My videos are quite detailed for anyone that needs help with crocheting. But if you are more experienced, use it just as a reference and skip some of the parts so you don't get too bored. Use this pattern for any project - my sweater, a granny square blanket, or any other project that requires crocheted squares. 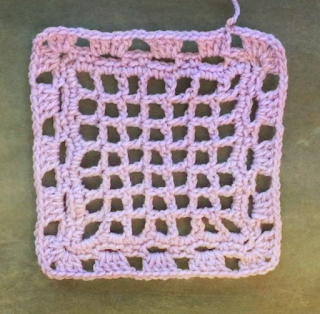 To crochet this square, you need to know how to crochet chain, slip stitch, single crochet stitch, and double crochet stitch. 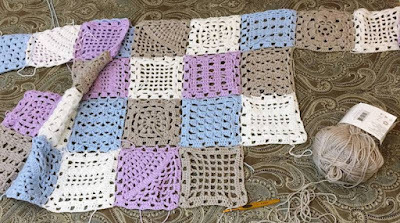 Note: To attach your granny squares as you go use all your ch2 spaces along one, two, three or even four sides as well as ch2 spaces in corners. 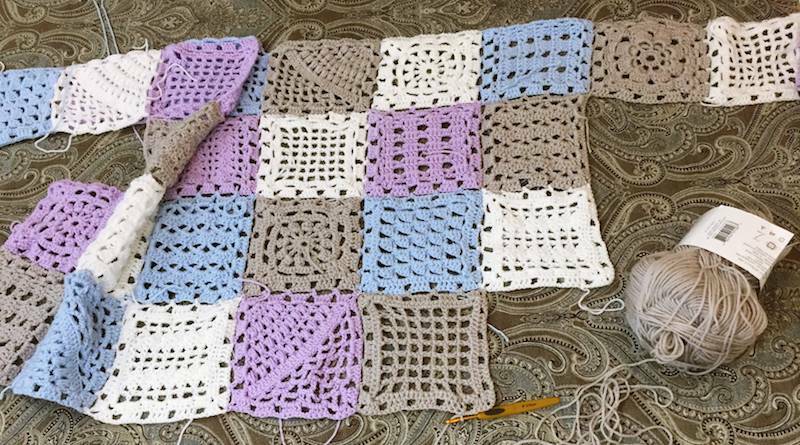 Please be aware that in the video where I demonstrate how to crochet this square I crocheted ch3 in each corner of the last row, but changed the ch3 to ch2 in the written pattern below. Note: In the video, while I videotaped my last row in SOME of these videos I worked my corner stitches as such: (3 dc, ch3, 3 dc). As I made more of these squares I changed the corner to (3 dc, ch2, 3 dc) - one less chain stitch in the corner. It is better for joining the squares. Thank you for understanding.